Shop early and save with our Black Friday Kiwi Crate coupon code! Through November 28, 2016, save 60% off your 1st box from Kiwi Crate, Koala Crate, Tinker Crate or Doodle Crate. 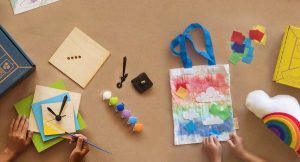 Use code GIFT60 at checkout to claim your discount on your first monthly craft activity box for kids. Subscribe to Tinker Crate – Innovative STEM projects for young scientists and engineers, ages 9-16+ – Check out our Tinker Crate reviews! Subscribe to Doodle Crate – Inspirational crafts for young artists and designers, ages 9-16+ – Check out our Doodle Crate reviews! 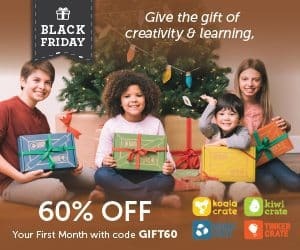 Join today and save 60% off your 1st box from Kiwi Crate, Koala Crate, Tinker Crate or Doodle Crate! 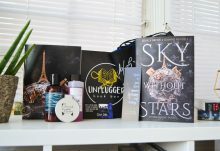 Use Black Friday Kiwi Crate coupon code GIFT60 at checkout to get your discount. Black Friday Kiwi Crate coupon expires November 28, 2016.